Nike Air Max 1 + Nike Air Max 90 "ACG Pack"
Closer look at the Air Max 1 and Air Max 90, set to release next year as part of the highly anticipated "ACG Pack." First previewed a couple months ago, the "ACG Pack" immediately became the buzz amongst many. 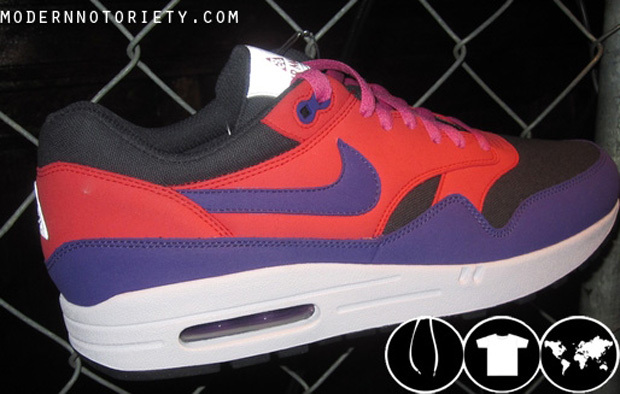 We now have a closer look, along with some shots of an Air Max 90 previously not seen. Set to drop sometime in 2011, the "ACG Pack" makes use of several of Nike's popular running styles dressed in colors that pay homage to Nike's All Conditions Gear (ACG). The Air Max 1 arrives in a clean black, red and purple build,along with hits of pink on the laces and 3M ACG branding on the tongue and heel. 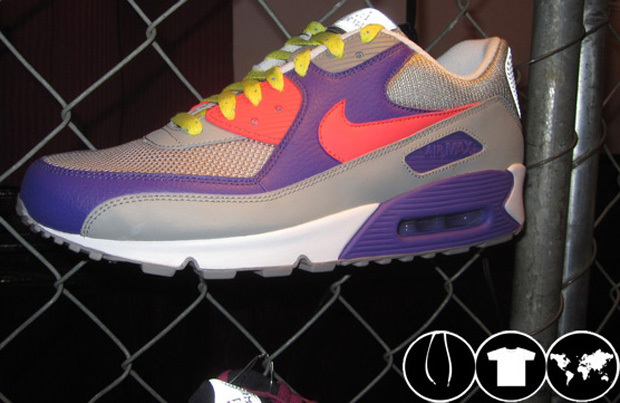 Additionally, we get a look at the previously not seen Air Max 90, arriving in a very similar look. Grey is seen dominating most of the shoe, while purple leather takes place on the toe and along the side panels. A shade of hot red takes place on the Swoosh and eyelets, along with yellow laces accenting perfectly. 3M ACG branding is also put to use on this pair, completing the "All Conditions Gear" inspiration. 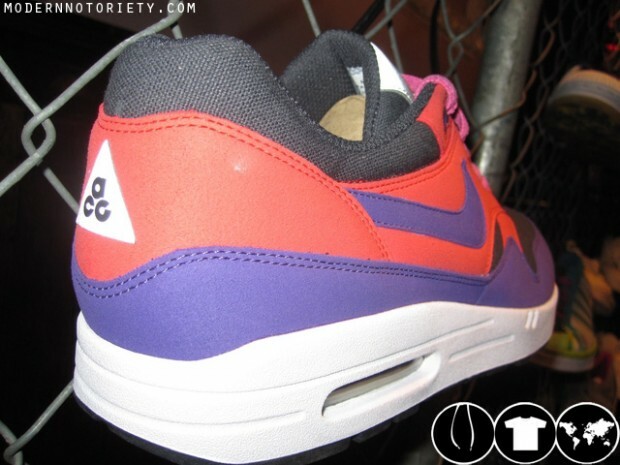 Look for both the Air Max 1 and Air Max 90 to arrive alongside the rest of the "ACG Pack" sometime in 2011.